Chimney cowls and chimney pot covers are available in a variety of designs, styles, and types as there are a number of issues with chimneys that they can help fix. These products can also help fix problems for stoves and hearths. Our chimney cowls can be secured by straps or bolts to a chimney pot or flue, which means that you can remove them without causing damage, such as leaving holes or marks. 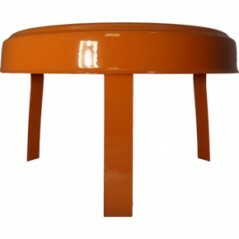 We stock a selection of chimney pot covers to help prevent chimney downdraft, to prevent rain from entering the chimney, and to help keep animals away. Not only can our range of chimney cowls prevent these problems, but they can also improve the performance of your chimney as the smoke and gases that are naturally created, will be drawn up the chimney by the cowl itself. 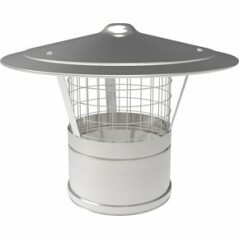 We also supply a wide range of 125mm and 150mm chimney and flashing supplies to help improve your flue system and roof. 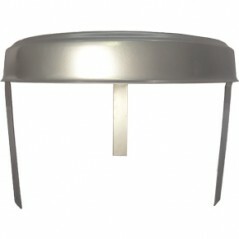 If you’re looking for roof flashings and cowls, then take a look at our product range below. 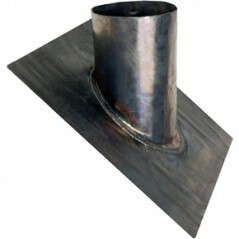 Our range includes chimney caps, lead slates, rain caps, roof flashings, and storm collars. 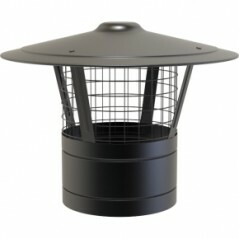 DescriptionThe Chimney Capper chimney caps off unused chimneys and prevents rain, birds, leaves, and..
APPLICATIONSuitable for tiled and slate roofs.We recommend using this for a 5" Inch Twin Wall system..
APPLICATIONSuitable for tiled and slate roofs.We would recommend this for the 6" inch Twin Wall syst..
APPLICATIONSuitable for tiled and slate roofs.We would recommend this for a 5" Inch Twin Wall system..
APPLICATIONSuitable for tiled and slate roofs.We would recommend this for a 6" Twin Wall systemINSTA..
Dektite Premium - perfect for flashing pipes on metal roofs.We recommend this for a 5" inch Twi..
Dektite Premium - perfect for flashing pipes on metal roofs.We recommend this for a 6" inch Twi..
RES 1 SILICONE 75-200mm (3-8 inch) - High Temp. 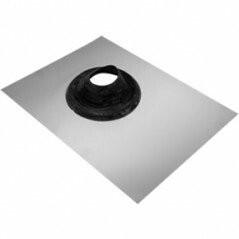 Suitable for tiled roofs with external pipe diameters of 3inch to 8inch (75mm to 200mm), the alumini..
RES 2 EPDM Flashing 175-275mm (7-11 inch) - Low Temp. Suitable for tiled roofs with external pipe diameters of 7inch to 12inch (175mm to 300mm), the alumi..
Seldek Aluminium - installs in a flash on Tile or Slate Roofs.The SELDEK Aluminium will not stain or..